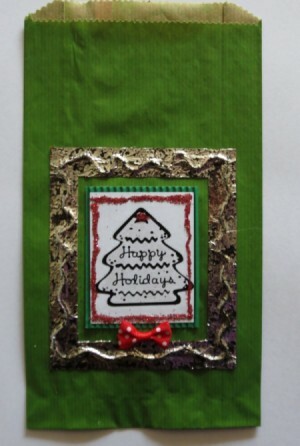 Use aluminum foil and some shoe polish to create this mock pewter gift bag. Fill it with stocking fillers or candies, and you are ready to spread some Christmas cheer to friends and neighbors alike! 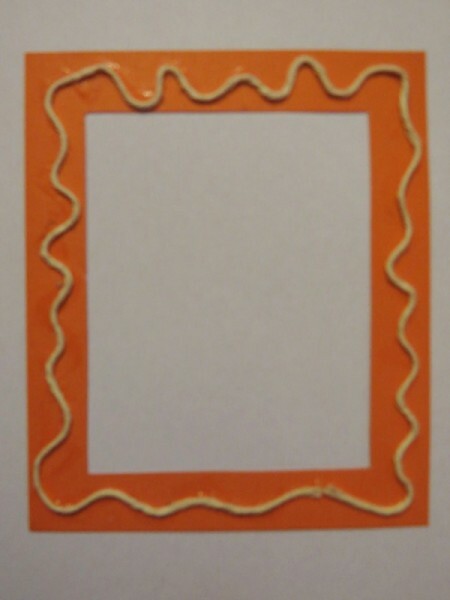 Take the piece of 4" x 4.6" brown cardstock and cut out the inside, leaving a space of 0.5" from the outer edges of this piece to make a "frame." Glue pieces of twine onto the frame. 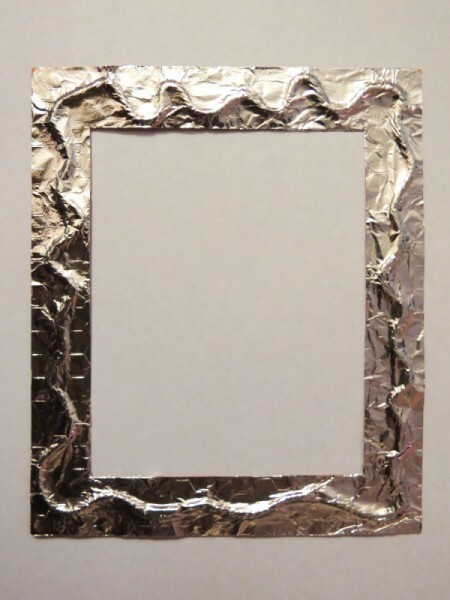 Glue aluminum foil over the frame and cut out the inside. Also cut off any protruding edges on the outside. The foil will have texture when it is glued over the twine. Note: The glue must be added to the dull side of the foil. Use the shoe polish to add some detail to the foil frame and allow to dry thoroughly. Glue the frame to the front of the gift bag. Centre and glue the green corrugated cardstock in the middle of the frame. Apply the Christmas tree sticker onto the piece of white ordinary printer paper. Centre and glue the piece of printer paper on top of the corrugated cardstock. 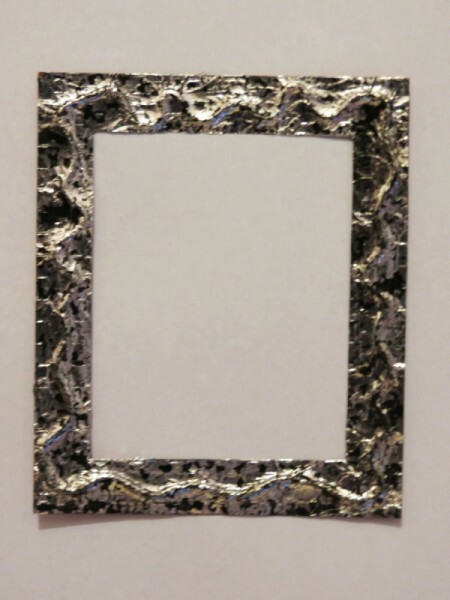 Make a frame around the piece of printer paper with glue. While the glue is still wet, sprinkle a liberal amount of glitter over the glue. Shake off any excess glitter. Glue the bow in place below the piece of printer paper.